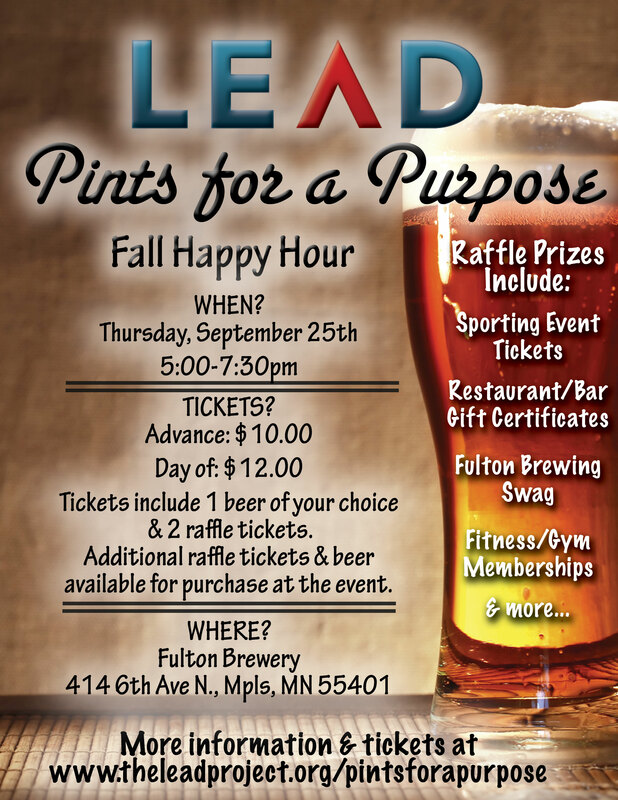 The LEAD Project invites you to toast to the arrival of fall at Pints for a Purpose this week! Join them at Fulton Brewery to get to know representatives from local nonprofit organizations to learn about board positions and available volunteer opportunities. See below for more details and to snag your ticket today! To RSVP and buy your tickets, click HERE! Our last happy hour sold out with record attendance, so we suggest you buy your tickets soon. We're excited to welcome SOS - Save Our Schools and Collide Theatrical Dance Company to the upcoming happy hour! Meet representatives from all three nonprofits to learn about board positions and volunteer opportunities. Copyright © The LEAD Project. All rights reserved.